1. Go to Start > All Programs > SolidWorks Corp > SolidWorks 2014. Press the “Next” button. You will now connect to the SolidWorks Activation site to return the license. 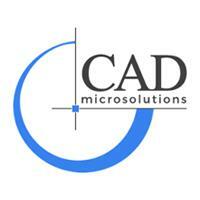 You will be informed that the license has been transferred back to SolidWorks. Press the Finish button to complete. Step-2 Activate SolidWorks on the new computer: To reactivate, go to the new or upgraded computer and activate the license as you did during the initial activation. When SolidWorks starts, the activation page will appear. Choose the “I want to activate my SolidWorks product now” radio button. If the activation page does not appear when SolidWorks starts, go to Help > “Activate Licenses” to start activation. Click the Next button to continue. SolidWorks will be listed as the product that needs activation. If you have internet access at this computer, choose to activate “Automatically over the Internet” and then click the “Next” button. If you are offline, see the next section on e-mail activation. Fill out your e-mail address at the bottom of the page. Click the “Next” button to continue. You will now connect to SolidWorks over the internet and the product will be activated.